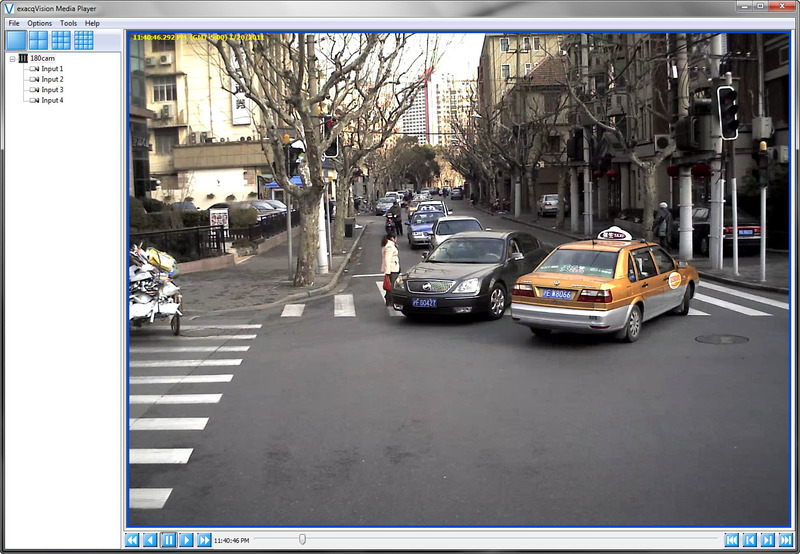 Version 4.4 of exacqVision Video Management Software has just been released. This latest release, compatible with all exacqVision Hybrid and IP video surveillance systems, incorporates new features and enhancements, and continues our quest for rapid, incremental updates. 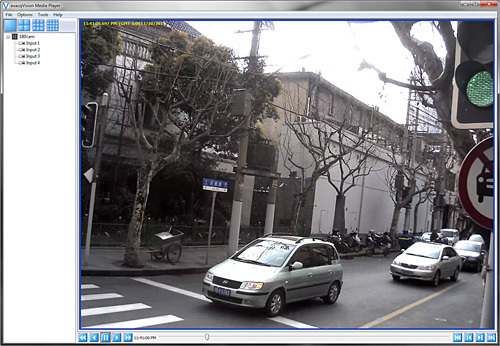 exacqVision now supports several models of Bosch IP cameras through ONVIF. The Bosch IP cameras support H.264 video compression and include the new AutoDome Easy II IP cameras, the Dinon 2X D/N IP cameras, and the FlexiDome 2X D/N IP cameras. 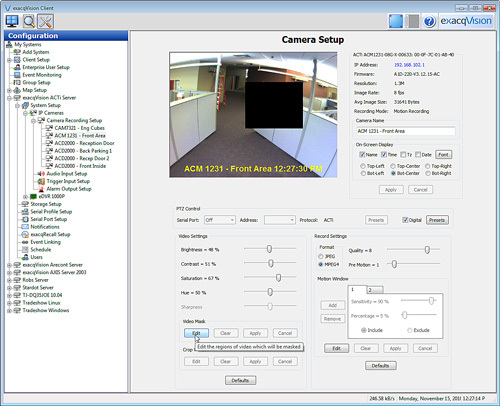 Bosch IP camera firmware version 4.11.1 or later is required for ONVIF support. New additions for Quicktime video exports include on-screen text overlay. 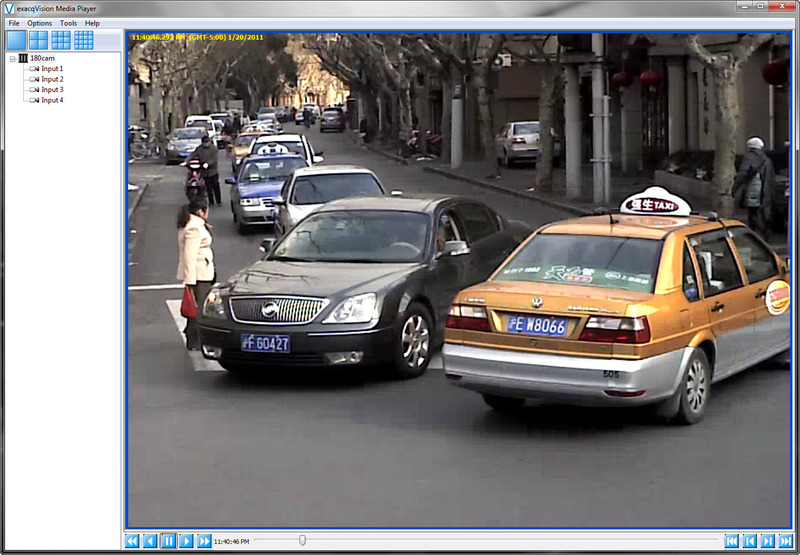 Quicktime video can be exported from exacqVision Mac, Linux and Windows clients. 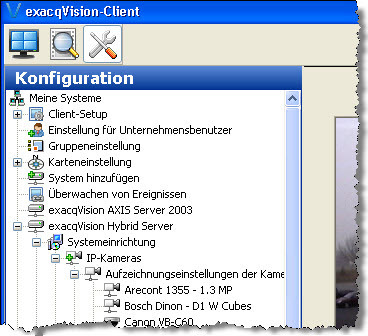 Two new features have been added to the exacqVision ‘My Systems’ page. The first is the ability to connect to any server immediately without adding it to the list of servers that connect automatically. This is particularly useful in enterprise deployments of large amounts of servers. 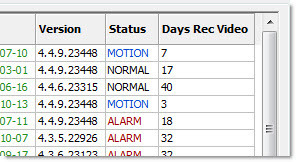 Additionally, a new column has been added on the My Systems page indicating the days of recorded video that are on each server, another useful tool in large enterprise deployments. 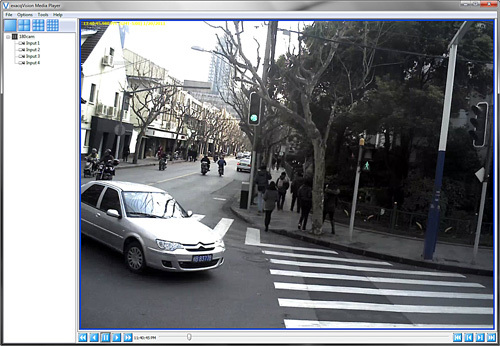 The Privacy Mask mode in ACTi IP cameras is now supported, allowing the administrator to define non-visible areas of the video image. 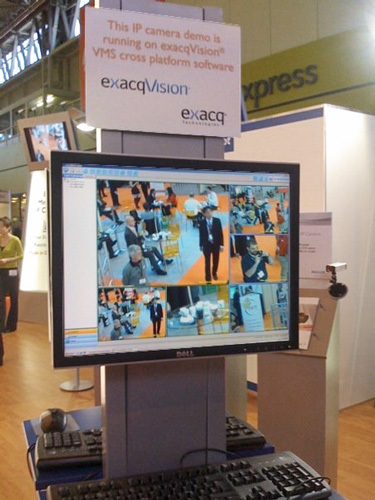 Enhancements have been made to the German translation of exacqVision. exacqVision VMS software now has 14 unique language translations. 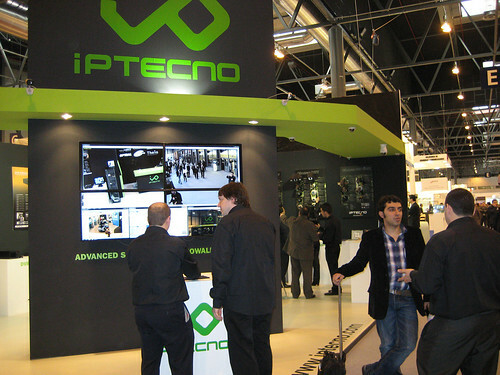 Sicur 2010, the largest physical security tradeshow in Spain, was held last week in Madrid. Our representative IPtecno had a large booth in the exhibit hall, showing the latest exacqVision 4.0 features. Below are some pictures from the show. Click each for a larger view. 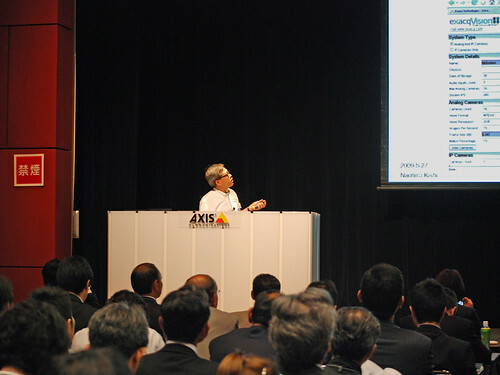 On Wednesday, May 27, 2009, Axis Communications Japan held their Axis Technology Showcase, Tokyo 2009, at Sumitomo Hall in Tokyo. The day consisted of presentations by Axis, IMS Research, and others; case studies; and product exhibits. 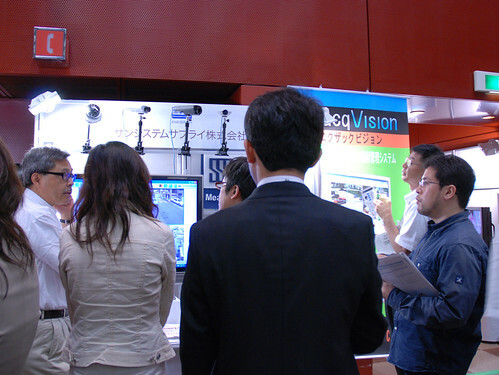 Our distributor for Japan, Sun Systems, was there exhibiting the Japanese version of exacqVision Video Management Software. Mr. Naohiro Kishi, Managing Director of Sun Systems, also gave one of the main presentations, entitled Acceleration from Analog to IP. 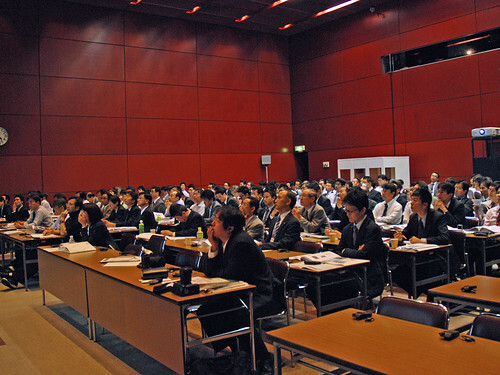 The conference was filled to capacity, reflecting the rapidly-growing interest in IP video surveillance in Japan. 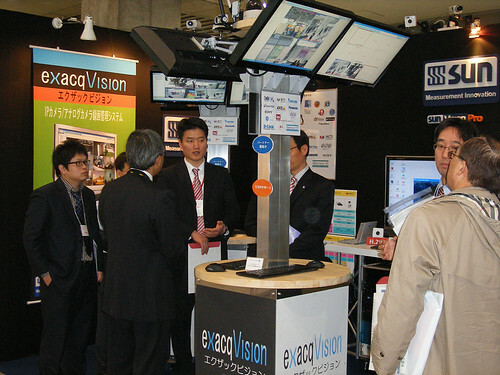 The Sun System booth was packed with people interested in the exacqVision/Axis solution. Our thanks to Axis Communications Japan and to Sun Systems for a successful event. Below are some pictures from the event. More pictures are here. This was a busy tradeshow week for our international sales team. 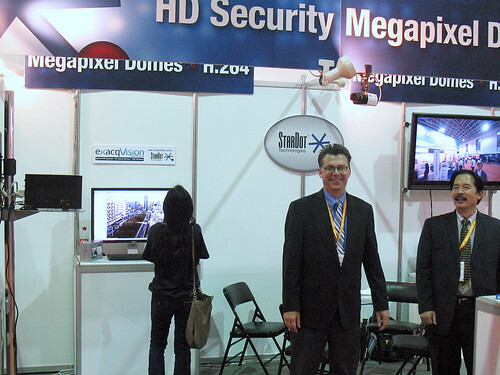 We were exhibiting at both the IFSEC 2009 show in the UK, as well as at CeBIT Australia 2009 in Sydney. 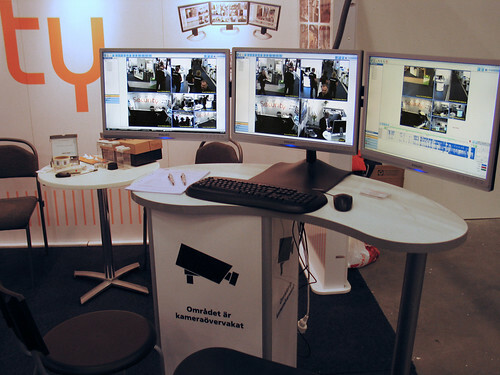 Germanyâ€™s Basler, which just entered the IP camera market last year, is another example of a company with roots outside the security industry that is doubling down on its security business during the tough economy. Baslerâ€™s Anke Wuebbelmann told me the company, which has its basis in machine vision technology, had recently made the decision to invest even more to develop its line of IP cameras for security applications at the expense of some other non-security areas the company is active in. 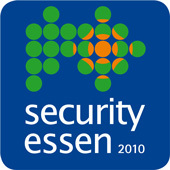 At IFSEC this year Basler is touting a number of new partnerships, including with Lenel, Exacq, Alnet and OnSSI. The company has also just launched training programs for partners and distributors, and will be starting road shows as well. Basler is not just going after the European marketâ€”Wuebbelmann said theyâ€™re busy building up their sales channels in the U.S. and Asia, and towards that end, the company recently established a new subsidiary in Taiwan. 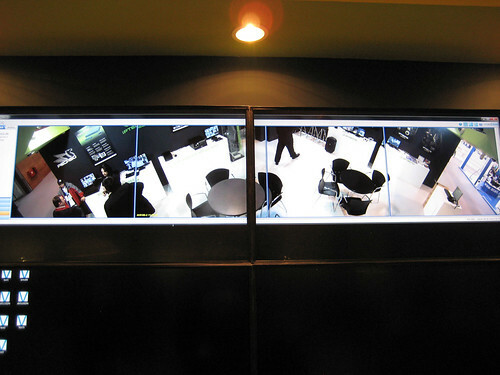 There was a great deal of international trade coverage about IFSEC. 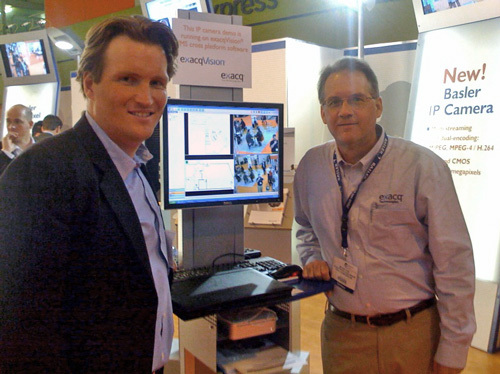 John Honovich of IPVideoMarket.info provided his comprehensive IFSEC roundup. We also found the real-time IFSEC Twitter posts of interest. Many pictures from the show have been posted on the web. 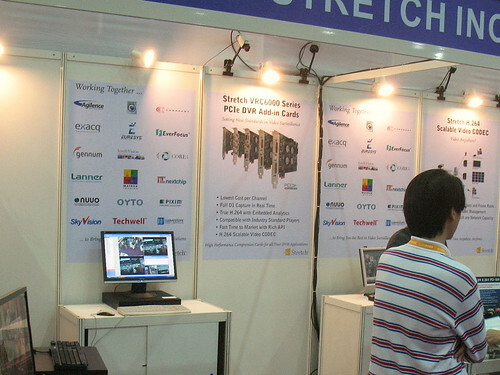 Our friends at IP camera vendor ACTi had a booth right across the aisle from us, and posted a number of pictures on their flickr site, like this and this. 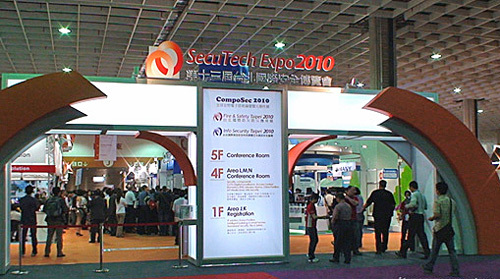 At CeBIT Australia 2009, we were exhibiting as part of the New South Wales technology booth, along with our distribution partner Zone APS. 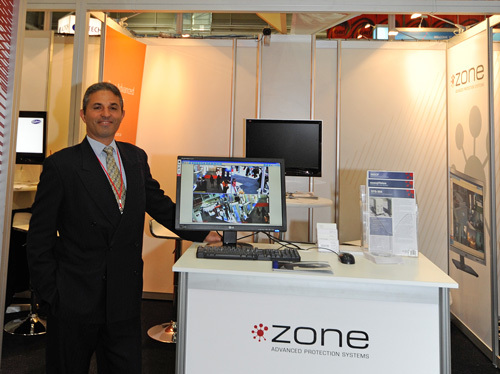 Zone APS is a technology-leading provider of IP security products, including Exacq, Arecont Vision, ACTi, ioimage, and MSCP, their own PSIM system. 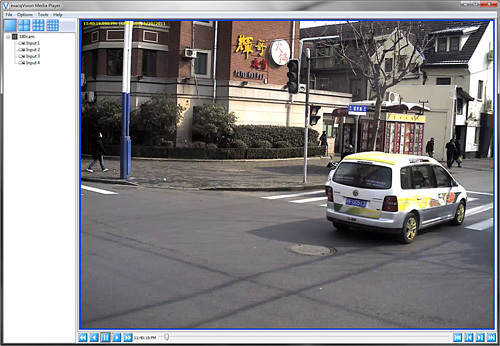 Zone has had great success deploying exacqVision IP surveillance systems in large retail chains, airports, casinos, mining facilities and shipping and logistics companies throughout the Asia-Pacific region. 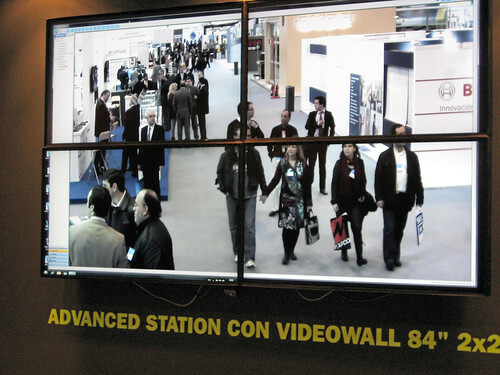 CeBIT is primarily an IT-oriented show, but as physical security rapidly converges with IT, it had a bigger presence at this year’s show. Turnout was high and there were a number of first-time exhibitors, despite early press reports about some vendors backing out. The trade press coverage of this show was more fragmented than with IFSEC, but once again we found the real-time CeBIT Twitter posts interesting. Also of interest, CeBIT Australia has their own flickr page with 1100+ photos of the event. We are pleased to announce that we have appointed Lanier Representation Group Int’l (LRG Int’l) as our manufacturers representative to manage the reseller, distributor and OEM sales for exacqVision products in Latin America and the Caribbean. LRG Int’l is one of the leading security manufacturer representatives for the Americas, with headquarters in San Antonio, and offices throughout Latin America including Mexico, Peru and Venezuela. In addition to Exacq, LRG Int’l represents a number of physical security manufacturers, including power controller manufacturer Altronix, megapixel camera manufacturer Arecont Vision, access control and panel provider DMP, and access control vendor International Electronics Inc, among others. 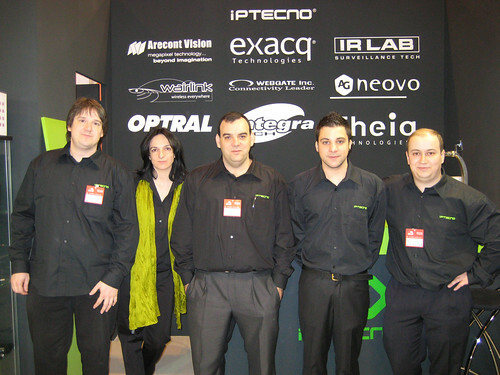 The exacqVision product line has seen a considerable interest throughout Latin America, with some significant customer wins, and exacqVision is fully localized into Spanish. 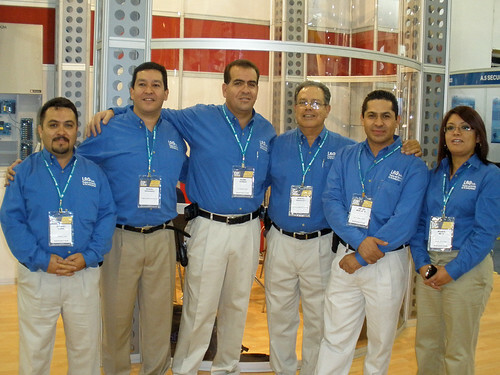 Adding the resources of LRG Int’l will help build on this momentum, and we’re pleased to welcome Glenn Patrizio and his team to the Exacq family of reps.
Pictured below is the LRG Int’l team at Expo Seguridad in Mexico City, Apr 20-22, 2009. From left, Octavio Lemus, Manuel HernÃ¡ndez, Glenn Patrizio, Manuel Rebagliati, AndrÃ©s Mosqueda and MÃ³nica MejÃ­a. 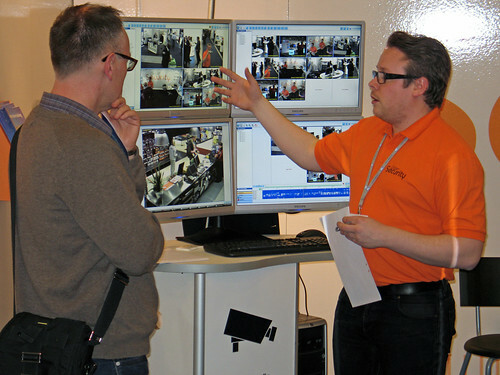 Karlstad, Sweden-based Gate Security AB specializes in physical security, access control and video surveillance systems for the retail market, and had a booth at ButiksleverantÃ¶r, the largest retail trade fair in Sweden, held earlier this week at the new Kista Expo Center in Stockholm. ButiksleverantÃ¶r was a great success for Gate Security. 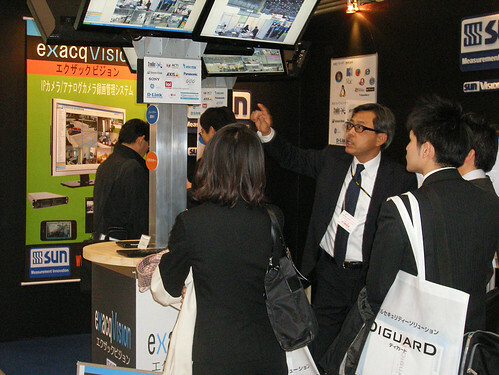 We had many demos and the interest in the exacqVision product was very high. A lot of good leads and a nice promotion of Exacq. We had two main demo stations, one with 3 monitors and one with 4 monitors , and we had online connection with exacqVision servers in other locations throughout the country, all making for impressive demos. We’ve enjoyed a long partnership with Gate Security. They have amassed an impressive clientele, having installed exacqVision video management systems for a large number of retail customers, including the ICA chain of Supermarkets and Hypermarkets throughout Sweden, as well as a diverse array of sites such as the Kalmar Airport, the GrÃ¶na Lunds Tivoli amusement park, a number of municipalities including Svenljunga and Arvika, and even the backstage studio surveillance for the popular Let’s Dance program on TV4. Additionally, Gate Security holds the distinction of being one of the first companies in Sweden with engineers to be certified in CCTV by the Svensk Brand & SÃ¤kerhetscertifiering AB (SBSC), the country’s leading organization for certifying companies, products, management processes and personnel within fire protection and crime prevention, ensuring all video surveillance systems they install conform to the SSF-1060 standard for CCTV video. 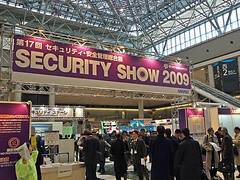 Our Tokyo-based reseller Sun System Supply was exhibiting at the Security Show 2009 last week at the Tokyo Big Sight Convention Center. 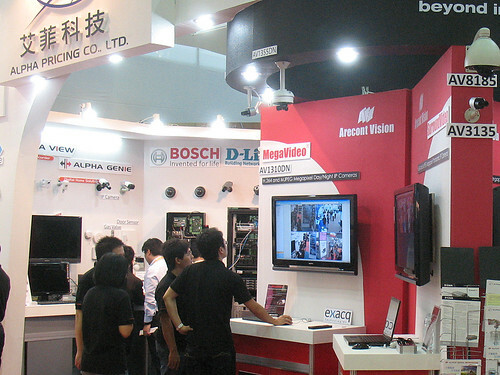 Security Show is the largest trade fair for physical security products in Japan, with over 800 booths and almost 75,000 attendees. 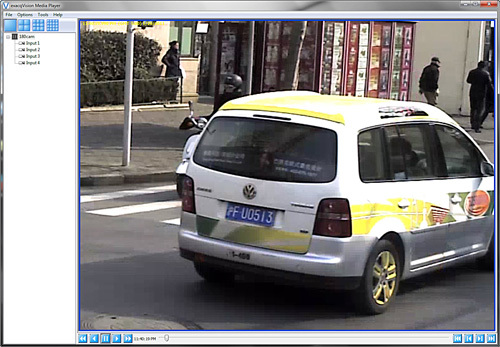 Sun System was showing the latest Version 3.3 of exacqVision VMS video surveillance software. Included in the 3.3 feature set is international localization, and full Japanese localization is now shipping, in addition to several other European and Asian localizations. There was a steady stream of people in the Sun System booth, with key areas of interest being the cross-platform capability of exacqVision (Windows, Linux and Mac); mobile viewing capability for iPhone, BlackBerry, Windows Mobile, and even simple mobile browsers; the contemporary, intuitive user interface; and the low price point.